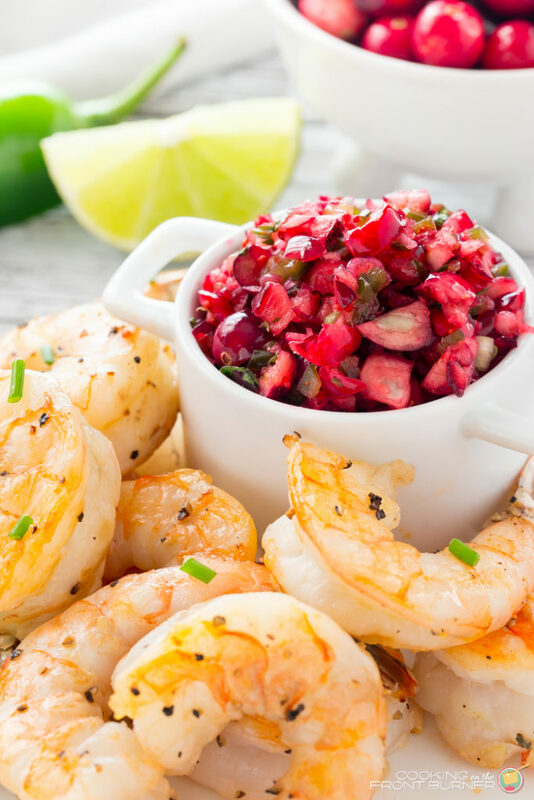 This tangy cranberry salsa goes great with grilled shrimp to make a fantastic easy appetizer! Perfect for your holiday party! Almost time to ring in the new year and welcome 2017! 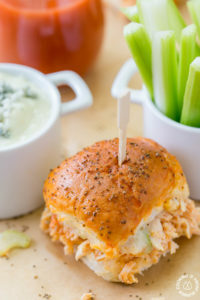 If you are looking for an easy appetizer that has a pop of flavor and looks kinda fancy, then you will love today’s recipe. This cranberry salsa comes together quick and goes perfectly with the grilled shrimp. 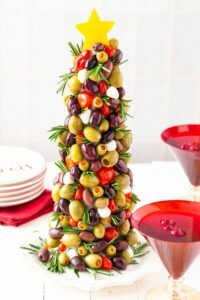 A great addition to your party table! It’s hard to believe that another year has passed and that we are talking about a new year starting. How do you like to celebrate? Do you just prefer to sit in, watch the ball drop at midnight and then head to bed? Either have a party, go to a party or light up the town? When the kids were about 5-6 years old we used to get together with the neighbors, their kids and went to a local ranch. We would ride on wagons and the kids would get to hold bunnies on their laps. We did some sledding and then headed home for hot chocolate. Whatever you do, I wish you a very happy new year and hope 2016 was great! Another recipe you might enjoy are these Veggie Poppers. This salsa can also be very versatile. Use it to top cooked chicken or fish and it even would taste great poured over a brick of cream cheese and served with crackers. 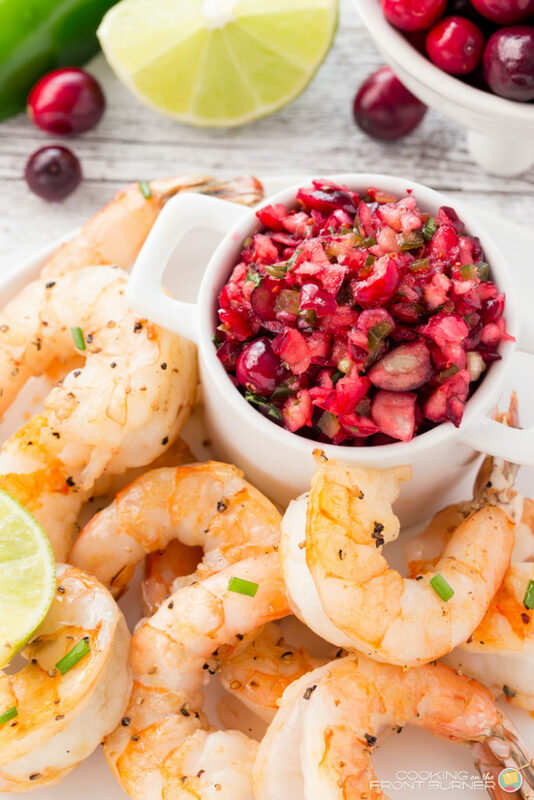 This tangy cranberry salsa goes great with grilled shrimp to make a fantastic easy appetizer! Happy New Year, Deb! I think we've done it all too – but now, I actually prefer to play games with the family, eat all kinds of yummy food, and watch the ball drop out on the East coast and call it a night! 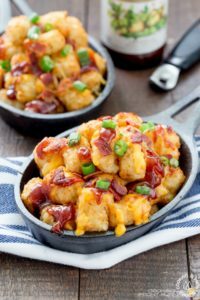 😀 This recipe would be a welcome addition to our NYE party!! This all looks DIVINE!!! We're just getting ready to have some friends over….wish I had seen this sooner! Happy New Year! Sounds like where my life is leading me! I'm happy to stay home and go to bed 🙂 I might treat myself to these though! 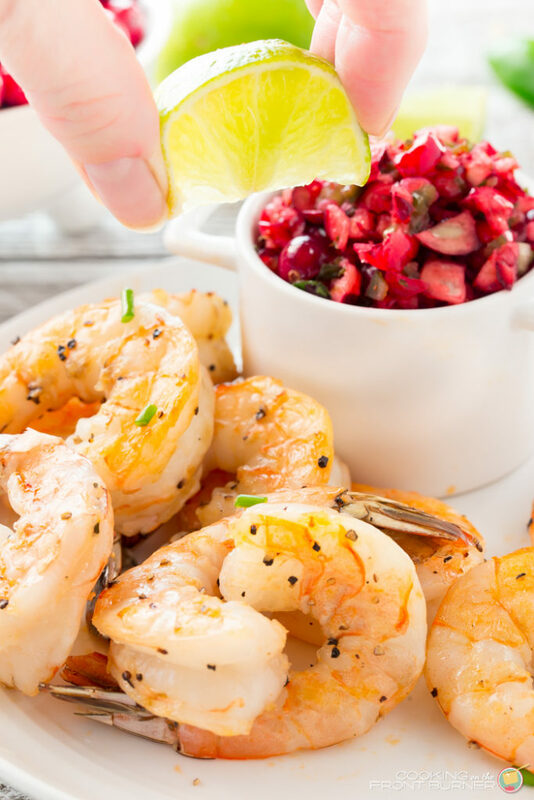 Shrimp is one of my all time favorite foods! 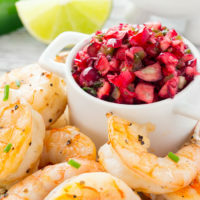 That cranberry salsa served with this is just what my stomach is wanting! So good! Happy New Year, Deb! I absolutely love fresh cranberries, and using them in a salsa is genius! This is such a fresh, light appetizer! I now know how to use up those leftover cranberries that I have!